Is this the beginning of the end of The Fashion Police in WWE? Breezango have always been a popular team with the WWE Universe, but over the past few months, it appears that the company has decided against using them on WWE TV. The Fashion Police became hugely popular through their Fashion Files segments on SmackDown Live, before Fandango suffered a shoulder injury last summer which has since sidelined him following surgery. Tyler Breeze has remained an active part of the company, but instead of being used to the best of his ability, the company has opted to job him out or send him back to NXT. Fandango is still yet to make his return to WWE TV, but was recently part of a promo video at WWE's Performance Centre where he talked about taking wrestling much more seriously, something that The Fashion Police were never known for, before Tyler Breeze responded to a fan's question about WWE Tag Teams who never get the love they deserve, with the following Tweet. 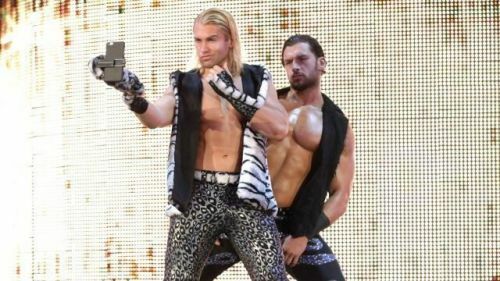 Tyler Breeze and Fandango were never taken seriously as a team, which is unfair since Breeze proved throughout his NXT career that he could have been a heavy hitter on the main roster and given the right push, he could have been a Tag Team Champion. Breeze and Fandango aren't being used on WWE TV currently, but both men are expected to be part of The Andre The Giant Memorial Battle Royal in two weeks time, so it will be interesting to see if they are still on the same page throughout the match.